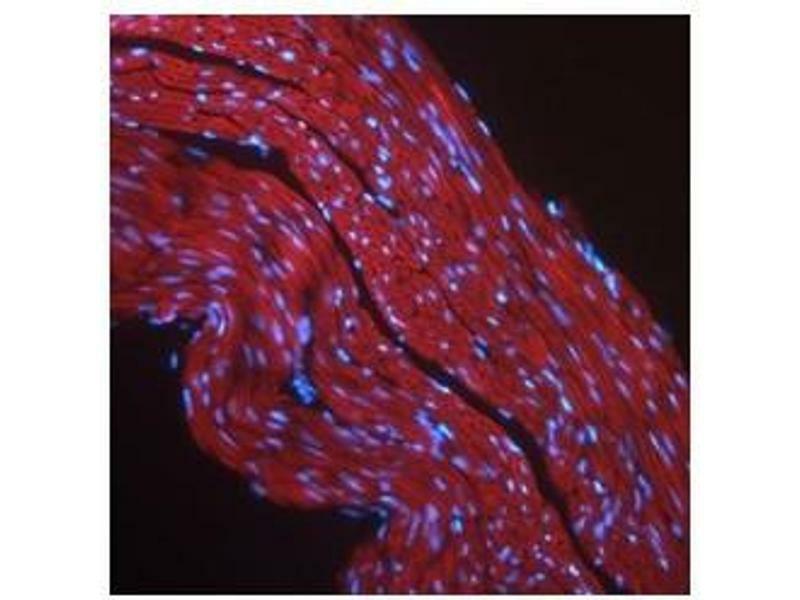 IGF1R antibody used at a concentration of 2-10 ug/ml to detect mouse skeletal muscle (red). Nuclei staining with DAPI. Not suitable for human. 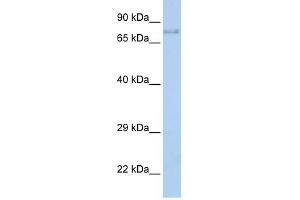 IGF1R antibody (70R-10422) used at 0.2-1 ug/ml to detect target protein. 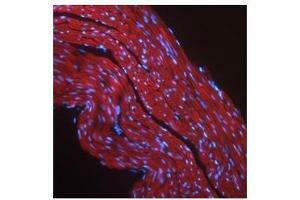 Background This receptor binds insulin-like growth factor with a high affinity. It has tyrosine kinase activity. The insulin-like growth factor I receptor plays a critical role in transformation events. Cleavage of the precursor generates alpha and beta subunits. It is highly overexpressed in most malignant tissues where it functions as an anti-apoptotic agent by enhancing cell survival. 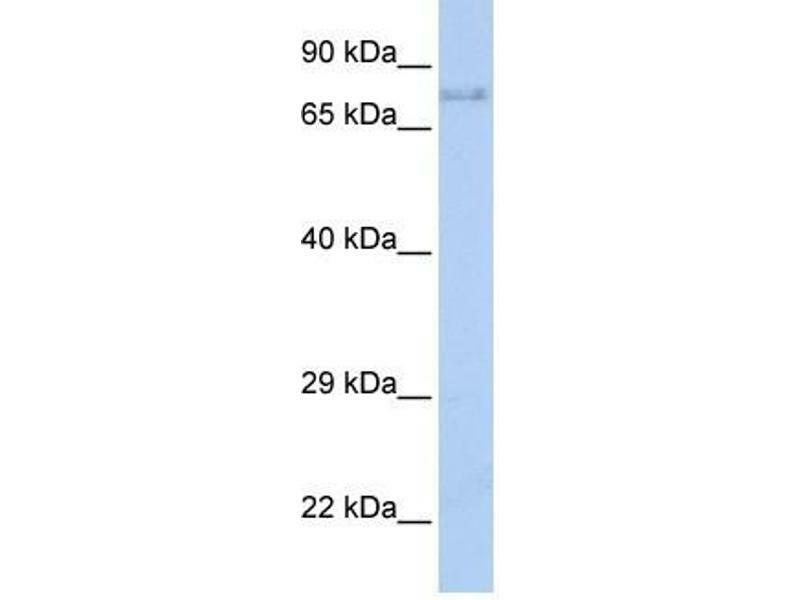 Synonyms: Polyclonal IGF1R antibody, Anti-IGF1R antibody, insulin-like growth factor 1 receptor antibody, CD221 antibody, IGFIR antibody, JTK13 antibody, MGC142170 antibody, MGC142172 antibody, MGC18216 antibody.